Dr. Giavana Jones, Adjunct Professor at University of The Bahamas and Director of Programmes at Lyford Cay Foundation and Co-Founder of Stories of Hope. One of Dr. Gia’s quests in life is to see people on the journey to healing and wholeness. With a Masters in Mental Health Counseling from Palm Beach Atlantic University and a Masters and Ph.D. in Applied Social Psychology from University of Windsor, Canada she brings her skills, experiences and understanding to the forefront when individuals seek her assistance. 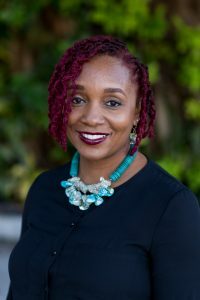 Her professional life dovetails with her passion, as she is currently the Director of Programmes for several key programmes at Lyford Cay Foundations and an Adjunct Professor of Psychology in Social Sciences at University of The Bahamas. Living by her personal motto to ‘foster hope and build communities’ she offers private counselling and serves as a Pastor at Epic Church Bahamas with a portfolio specific to health and wellness. Dr. Gia is also the co-founder of Stories of Hope, a non-profit with its mission to provide mental health help and wellness. The married, mother of two and now published author will launch her book, The Strong One: Redefining strength and finding freedom in your true identity on Thursday, 24th January at the Harry C. Moore Library and Information Centre at 6:30 p.m.
Dr. Gia offers advice to others who believe they have a story to tell but might be overwhelmed at the thought of writing an entire book. “Start writing, just take notes. Sometimes the pressure to write a book blocks performance, so rather than sitting to “write a book”, just start taking notes on your phone, Word document or in a handwritten journal. After some time, compile your notes and see what you have,” she explained. 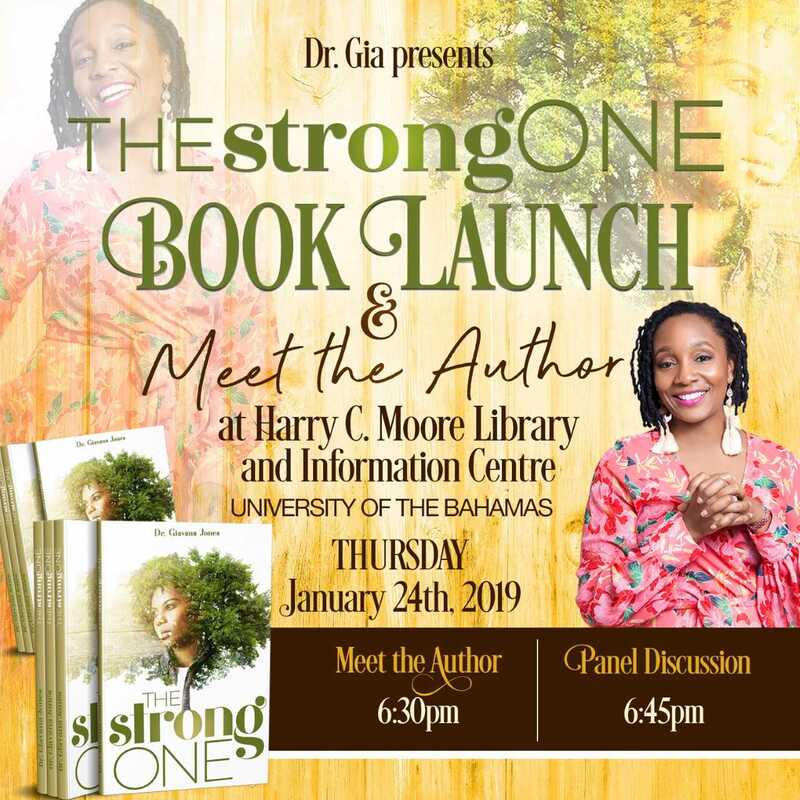 The Meet the Author and The Strong One book launch will take place on Thursday, 24th January 2019 at University of The Bahamas, Harry C. Moore Library and Information Centre. For more information, email:drgia@giavanajones.com or visit FB: thedrgiajones or IG: drgiajones.